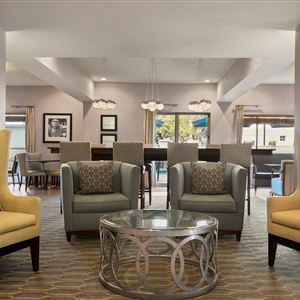 Property Location A stay at Hampton Inn Phoenix Midtown - Downtown Area places you in the heart of Midtown, convenient to Heard Museum and Phoenix Theatre. This hotel is within close proximity of Phoenix Art Museum and Phoenix Convention Center. Rooms Make yourself at home in one of the 99 air-conditioned rooms featuring refrigerators and microwaves. Complimentary wired and wireless Internet access is available. Private bathrooms with bathtubs or showers feature complimentary toiletries and hair dryers. Conveniences include desks and complimentary weekday newspapers, as well as phones with free local calls. Amenities Don't miss out on the many recreational opportunities, including an outdoor pool, a spa tub, and a 24-hour fitness center. Dining A complimentary hot/cold buffet breakfast is included. Business, Other Amenities Featured amenities include a 24-hour business center, express check-out, and complimentary newspapers in the lobby. Free self parking is available onsite. 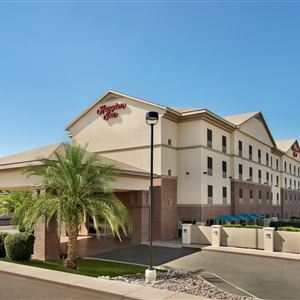 A stay at Hampton Inn Phoenix Midtown - Downtown Area places you in the heart of Midtown, convenient to Heard Museum and Phoenix Theatre. This hotel is within close proximity of Phoenix Art Museum and Phoenix Convention Center. Make yourself at home in one of the 99 air-conditioned rooms featuring refrigerators and microwaves. Complimentary wired and wireless Internet access is available. Private bathrooms with bathtubs or showers feature complimentary toiletries and hair dryers. Conveniences include desks and complimentary weekday newspapers, as well as phones with free local calls. Don't miss out on the many recreational opportunities, including an outdoor pool, a spa tub, and a 24-hour fitness center.